Save SAR 31 (91.18%) – Earn 0 Shukrans What is Shukran? Shukran is the Landmark Group’s award-winning loyalty programme in the Middle East, which allows you to earn Shukrans when you shop any of our brands. 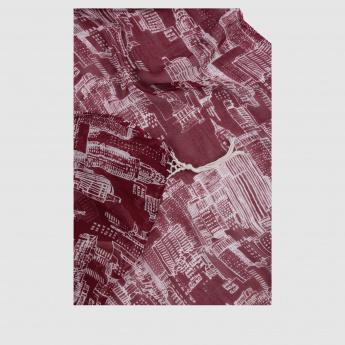 Be effortless in dressing up to beat the cold with the help of this striking scarf with a dapper print all over. 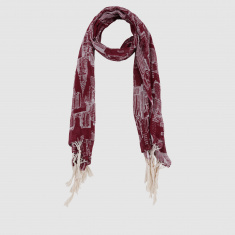 Enhanced with fringes at the borders, this soft and comfy piece comes in a lovely dual tone.